Item # 308456 Stash Points: 5,995 (?) This is the number of points you get in The Zumiez Stash for purchasing this item. Stash points are redeemable for exclusive rewards only available to Zumiez Stash members. To redeem your points check out the rewards catalog on thestash.zumiez.com. 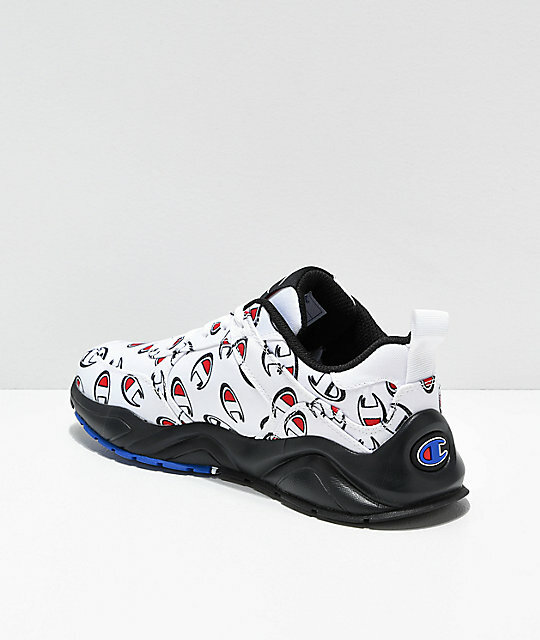 Keep your athleisure style fashion-forward with a pair of Champion 93 Eighteen Repeat C White & Black Shoes. Mostly white throughout, these shoes feature reoccurring "C" logos throughout the breathable woven upper for classic branding and style. 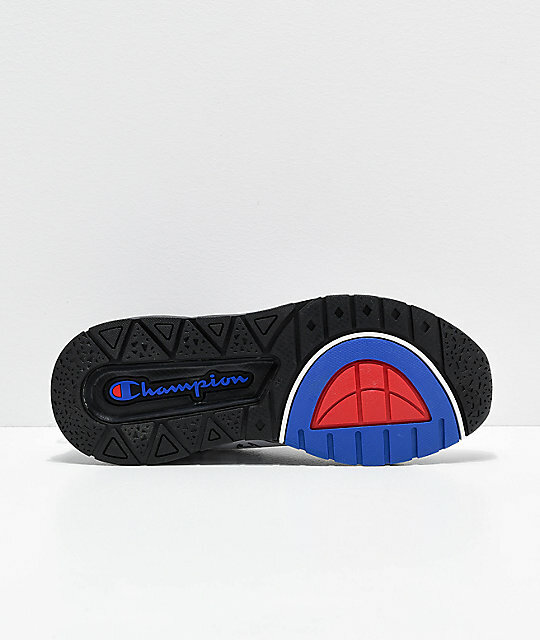 A padded tongue and collar work with a thick midsole for tons of comfort and the double stitching throughout keeps these shoes extremely durable as well. 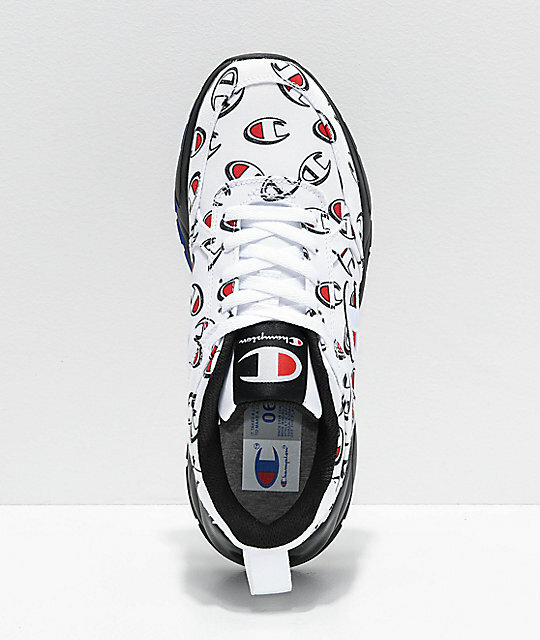 93 Eighteen Repeat C White & Black Shoes from Champion. Multi-paneled suede upper with reinforced double stitching throughout for durability. 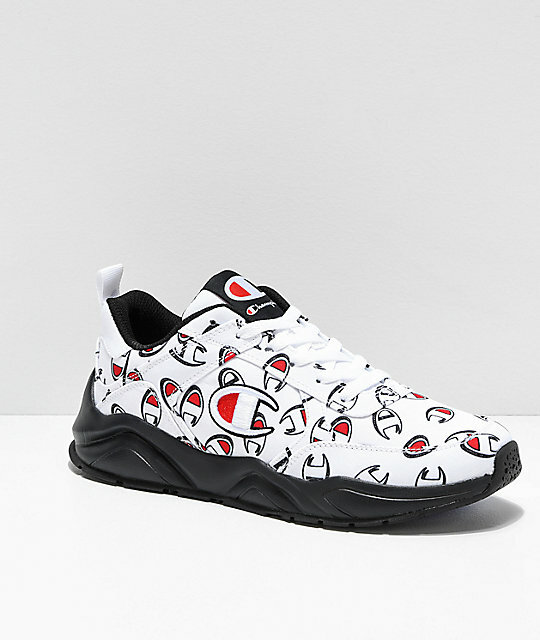 Embroidered "C" logo on outer sidewalls and back of heel. Reoccurring "C" logo print throughout upper.